On yearly "Personal" or "Professional" subscription, get unique discount! 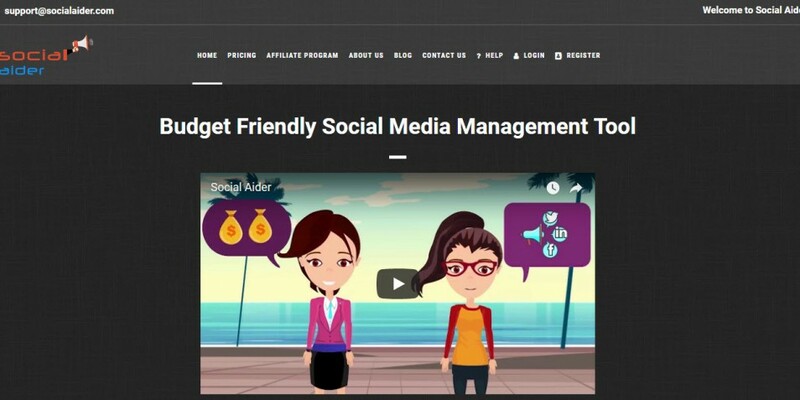 Social Aider is designed to handle all your social media needs on a single platform. You can schedule your posts with ease on Facebook (profile & page), LinkedIn (Profile & Page), Instagram, Twitter, and Tumblr. You can connect an unlimited number of social profiles to your Social Aider account for free and manage them all using the same tool. Utilize features like "RSS feed bulk Upload" and "Excel Bulk Upload" to automate your data scheduling. AI features like "Discover Content" and "Hashtag suggestions" assist you in curating the latest and most interesting posts. The in-built "Image Editor" lets you curate attractive images to entice your audiences! The paid plans of Social Aider begin at $59 per year before discount! What's more? You have a 100% access to all the features available no matter which plan you opt for.